This is Bobby King from FarSight Studios, the makers of the Pinball Arcade for PS3 and PS Vita. We are super excited to announce that today, thanks to our fans, we’ll be releasing our re-creation of one of the greatest pinball tables ever – Twilight Zone! With the help of the pinball legend Roger Sharpe, who did the original table’s licensing deal for Williams/Bally, we were able to get the CBS-owned rights to the TV show. This deal was too expensive for us to make the numbers work, though. We would have lost money with the number of sales we were projecting. 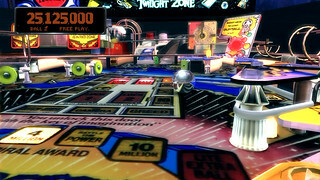 But thanks to our players and pinball fans all around the world who chipped in through Kickstarter.com – we got the extra money that we needed to make the deal for the Twilight Zone IP! This is such a great table. Personally, it’s my second favorite to play in our game right behind Star Trek: The Next Generation (which we’ll be releasing before the end of next month, but I’m getting ahead of myself). Twilight Zone is awesome! It’s an unbelievably deep gameplay experience. 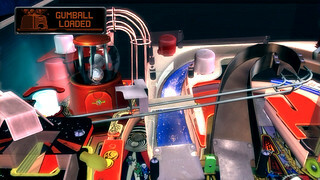 One of the features that Pinball Arcade is noted for is our comprehensive instruction on how to play each table. The instructions for Twilight Zone are the longest – 710 screens. Pinball Arcade Producer/Designer Scott Shelton writes these instructions and also happens to be the best pinball player at our studio, so I’m going to hand it off to him to explain what makes the Twilight Zone table so much fun. “The main reasons Twilight Zone is such a great table is the cool theme and the incredible number of features it has. 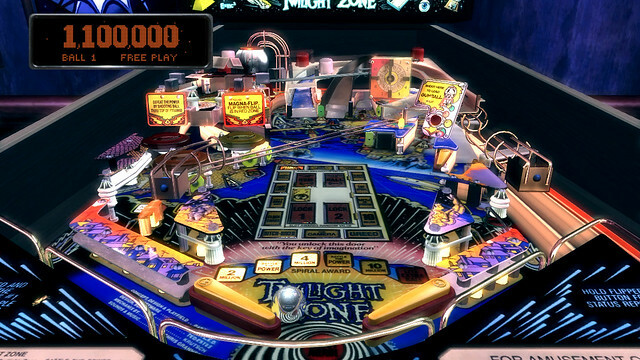 The Twilight Zone show is just a perfect theme for a pinball table and they did a great job of tying episodes of the show into the various modes. As far as features, it is, hands down the most complex table we have worked on to date. It’s clear that Pat Lawlor was given free reign when designing Twilight Zone after the commercial success of his previous design, The Addams Family. When I’m playing the game, I tend to activate most of the features and modes on the table through normal gameplay, which is a testament to how well it is designed. A lot of tables have features that are so obscure that you’re unlikely to ever see them. The flow of Twilight Zone is such that the modes are getting activated left and right, just by making various shots on the table. For those that don’t know, Pinball Arcade was one of the first cross-buy games for PS Vita. Purchasing anything for our game entitles you to it for both the PS3 and PS Vita versions! Thanks for supporting the Pinball Arcade, everyone! Is there a list somewhere that tells me what the “Pro” upgrade features? Frustrated…..I bought the Twilight Zone Pro Pack yesterday. It downloaded and installed and I restarted TPA. I couldn’t wait to play it. When I went to start the table I got the “Purchase or Download” screen again. I have tried redownloading and reinstalling it but to no avail. I have also tried deleting and reinstalling TPA and all the tables I have bought. The only one that still doesn’t work is TZ. This is the first table pack I’ve had problems with. How do I get it to work? Or failing that….how do I get my $7.99 back? great job on the new tables. i guess 7.99 is the new price point for packs? not really complaining, i just thought that was the price for twilight. still a great deal. i’d LOVE to see south park, and do you think we will see Elvis one day? i freakin love that table. keep up the good work. I love this and all the tables you’ve released. Have they been a big enough success that you’ll release more? 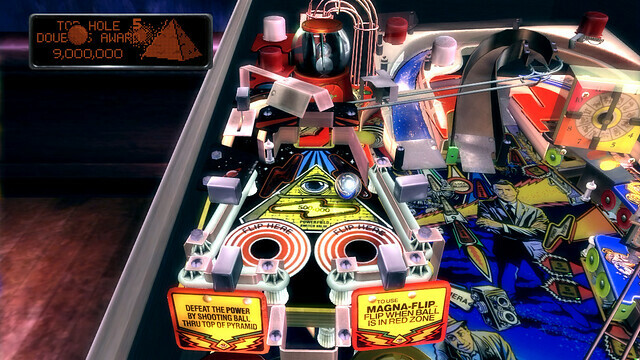 What pinball games are next? Release dates? ?